Home / Reviews / Are Facebook Ads a Lie? I have always liked to be critical and question the importance or not of the number of followers of a page on Facebook, the crowded question of whether size matters, is something that in one way or another, many times, I have wondered. I remember with my first projects, as from the beginning I tried to do what I understand (and time later gave me the reason) I had to do, and it was nothing but work well: and so when others chose to create personal profiles for companies, instead of fanpages for the facility to “get” friends I always opted for what I consider to be the right way: revitalizing, managing, adding value and off-on referrals for getting new fans from any of the pages I managed. However, I have known of other colleagues or companies that have based their strategy of pursuing followers through Facebook ads, something very fast and tremendously simple and that quickly and reliably allowed to “justify” your work before your customers so that speedy (and on many occasions ignoring the real way) saw as their followers grew in the network. How good is the boy that I have hired; in a week I got more than 100 fans or friends, that does not matter !! And suddenly and in this context, a few days ago I hear and read that Facebook will proceed to make a “cleaning” of the followers of many pages, as we are told it is false profiles and nonexistent really. And before the news I see how many colleagues, colleagues or people who is dedicated to all this, shows his joy at the measure and begins to drop phrases like: It’s about time !! Now you will see the true followers of each page! Many myths will fall !. And I wonder? Do we really think that Marketing, Communication, Social Media Officers or any of the positions with responsibility for the Social Media actions of their respective companies have been dedicated to hiring fellows to go making fake profiles that they click in the “I like” of their respective pages? Really, really? How many? 3, 5, 10? For a long time? I really let me doubt it. But if I doubt the above, if I can verify something that has happened to me, and more specifically on a page, and that is nothing else, than desirous of growing in the followers and (although not an excuse) by the pressure of the client to see that these grow at a slower rate than expected by him, is what I decided to do a few days ago a small campaign of the famous ads And what is the result ?. Spectacular, in 4 days we get more than 100 followers, ole !! How nice I am and how easy this is. But since I like to meet my fans, I enter their profiles (which I allow, and in this case, almost all) and my surprise is that I can see tremendously multifaceted people, fans with only 50 friends, or with some more, or with even many in some case, I see that they are followers of 2305 pages, 1900, 4523 !! 2600, 2400, 1700, How do you get that you like 4500 pages? How do they do that? Ummmmm, what do I do? I believe it? Do we believe it? Has not anyone else given this account? Really, am I the first? And as the coincidences never come alone in the last few days my email starts to fill with spam with style emails: Earn money with Facebook, get a new job with Facebook, Say goodbye to financial problems with FB, and the like. And that’s when I ask myself What’s going on here? 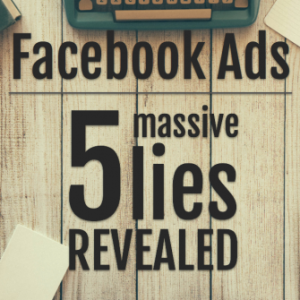 Are Facebook Lies a LIE? Are we going to cheat by playing solitaire? We continue to tell our customers that the important thing is to have many followers? o Are these the fake profiles that will eliminate Facebook? For what? To “force” companies to continue hiring Ads? Is there anyone who can explain it to me? Volunteers? I for now and from now, I return to my previous strategy: I will continue without many followers, but those who are, will be true. 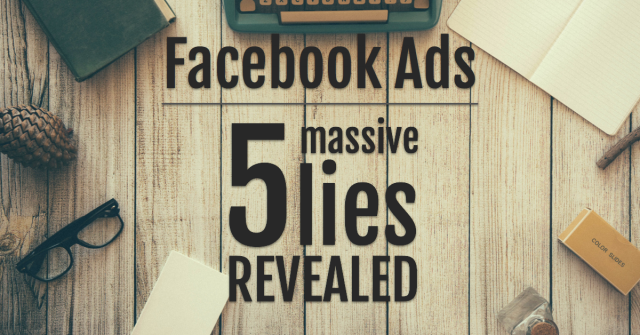 Although now, from my humble position I can not help but keep asking myself, Are Facebook ads a lie? Who gives more? « Previous Article Do you know if you are a true social media addict?